Clouds present photographers with a vast canvas of creativity because of their unique makeup. 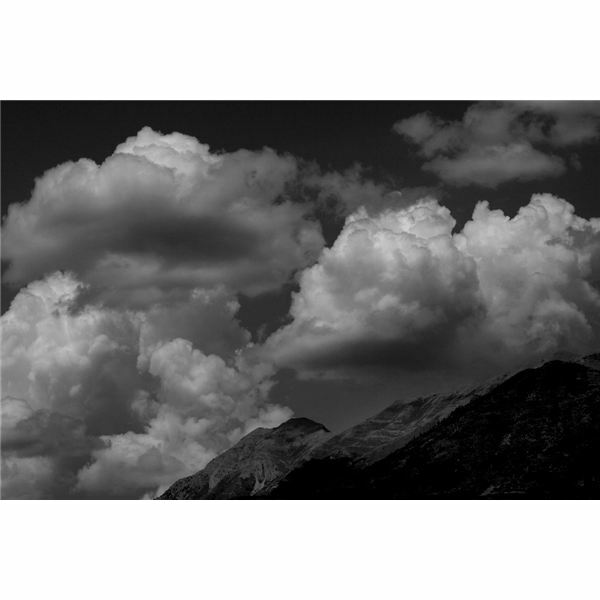 Black and white pictures of clouds can be photographed alone, or added as a background to add texture to a picture. Since clouds can present interesting possibilities, it is always good to look for different scenarios or even weather conditions that will bring out their dynamic nature. This can also be done during post processing to some extent, but depending on which kind of terrain you live in, there could be an amazing scene of clouds waiting for you right outside! If you happen to live in high altitude regions like Alaska and Canada, you might have had a chance to glance at the amazing spectacle made by the Nacreous clouds. These clouds produce beautiful variance of colors and light and can make interesting photographs. Another type of clouds that look particularly good in black and white photography are Mammatus clouds. These clouds form small pouches covering the sky and are usually seen after a storm has just passed. 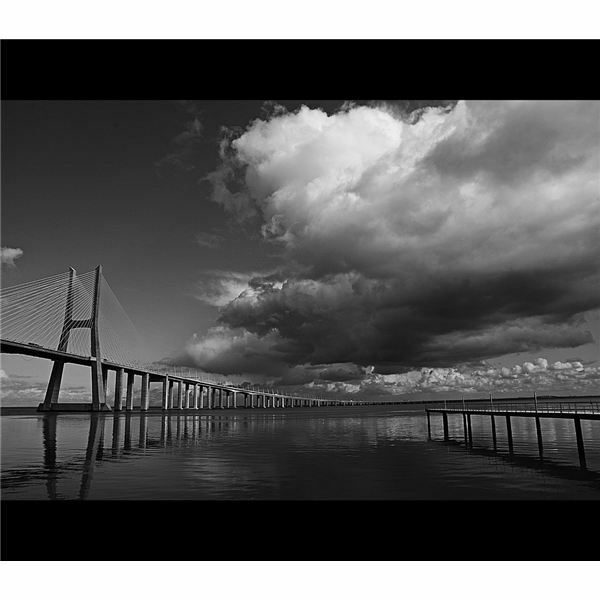 Black and white pictures clouds taken at an angle can present a sense of tension and amazement because of their rare texture. Other types of clouds include Shelf clouds and Roll clouds that come with a storm that form dramatic shapes amongst many others. 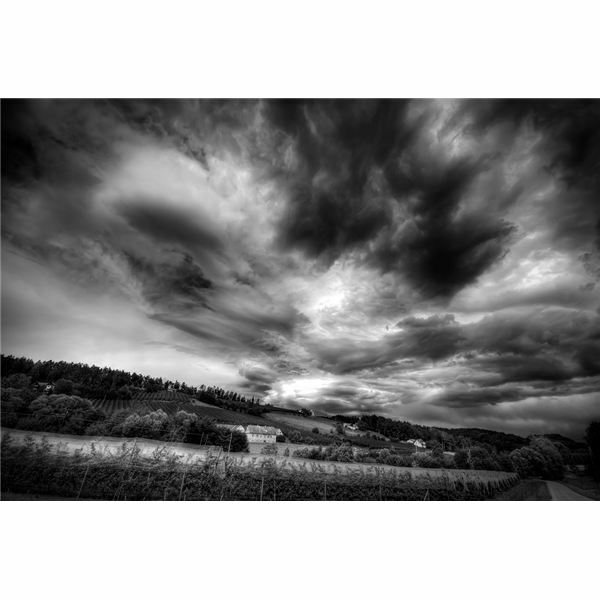 A photographer can also create different moods when capturing clouds such as ominous clouds that can portray an emotional sense usually in dramatic shades,and more contrast added, or cherry clouds that can lighten up the mood. Black and white pictures of clouds taken with these effects can then be used as backgrounds or framed and presented alone. Although clouds are rather easy to take pictures of, they do present certain challenges. Most clouds have either a tendency to reflect light from behind or sides, especially if they are in front of the sun or bring too much exposure which may make the highlights too strong. You can fix these two common problems by using a graduated density filter. The filter will also ensure easy post processing and minimize the chances of over exposure. 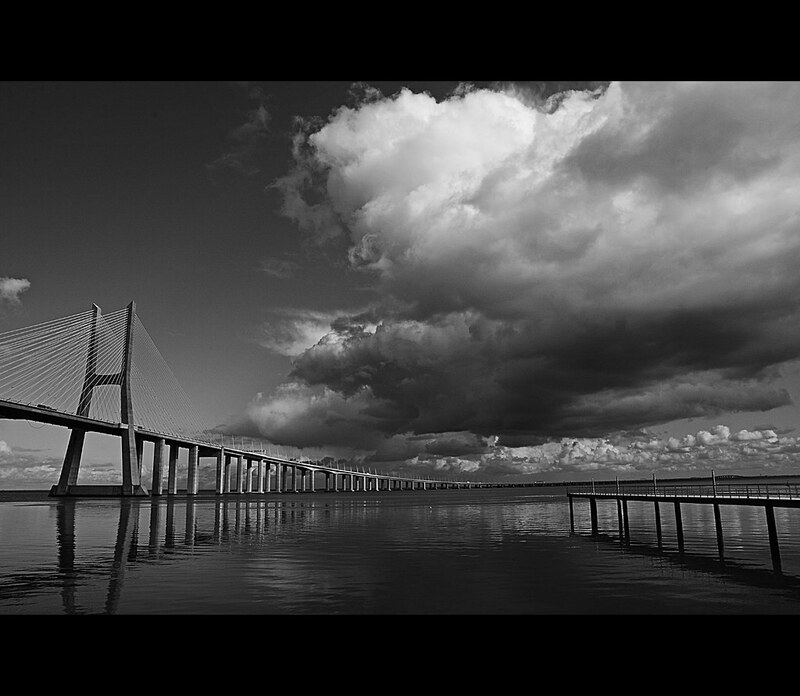 A polarizing filter can also be used to adjust contrast and bring out any fine details in your cloud photography. It is recommended to shoot in RAW mode if you are using a digital camera and it has the ability to shoot in RAW. This will help preserve greater detail. RAW records all the details of a photograph compared to let's say, JPEG, and hence it is ok to shoot in black and white when using RAW mode . However be careful when you cannot shoot in RAW mode; in such cases it is a better idea to shoot in color and then change it later on. 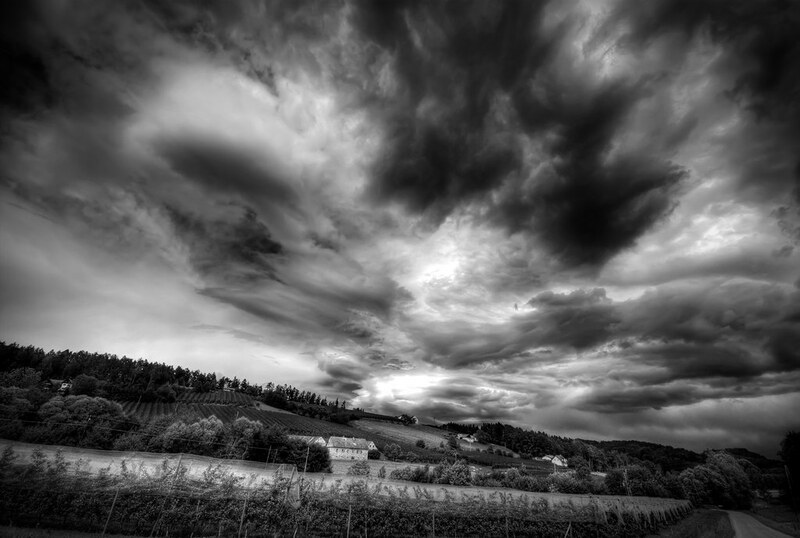 In this case black and white picture of clouds just like any other black and white photography can be shot in color and then changed to black and white in post production, it is best to do so. 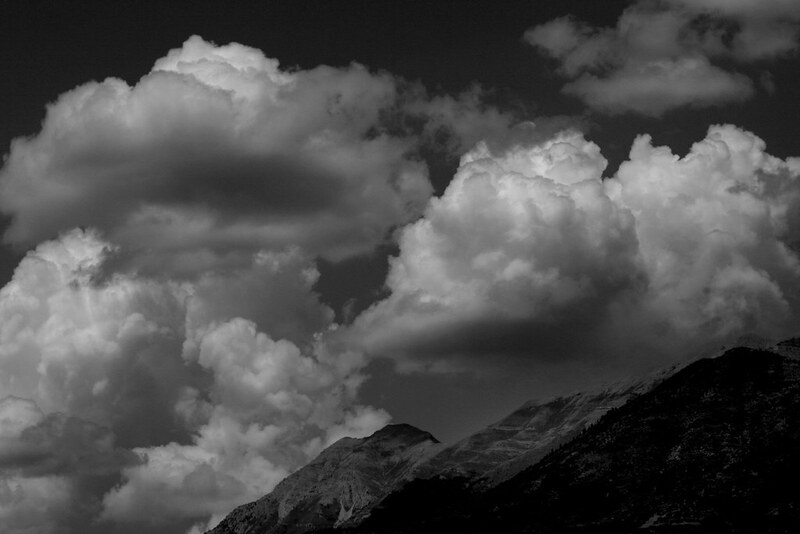 Black and white pictures of clouds shine best when there is some kind of contrast present in the picture. Although too much contrast can be distracting and over-bearing to the eyes, a little bit of contrast can bring out more detail where color is absent. A technique used to give more texture and increase contrast to any photo is side lighting. This kind of lighting cannot be created artificially for clouds, but the natural lighting surrounding the clouds and the position of the sun can be take to your advantage to produce interesting pictures.